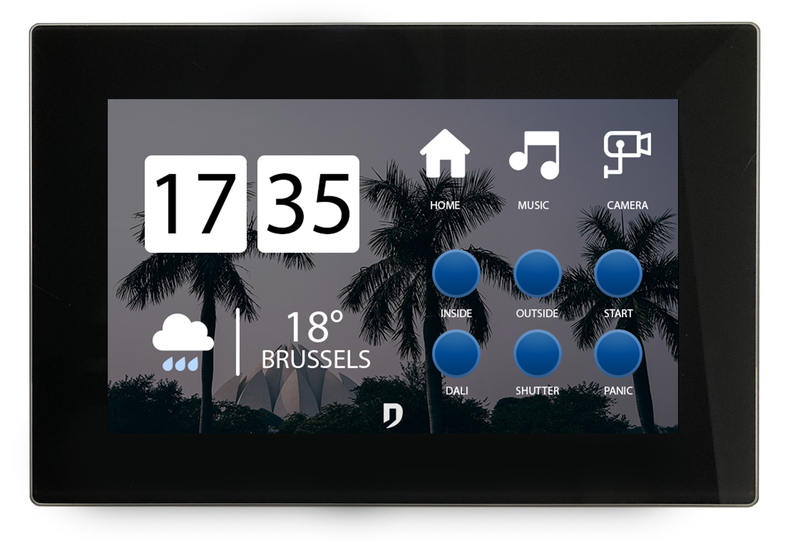 The Rainbow 7" user interface will be launched at the Dutch market during Architect@Work. The Rainbow 7" is a user interface intended for the operation of home automation installations. Operating with the so-called gesture recognition is a new technique in the world of user interfaces. Gesture recognition is designed to recognize physical movements and 'gestures' of a human being. In the Rainbow 7" user interface, lighting, sun screens, HVAC, intercom and audio video are integrated. The registration of temperature, communication with camera systems and an internet connection are integrated in this new touchscreen.